March 18th, 2019 - Does My Bomb Look Big In This? 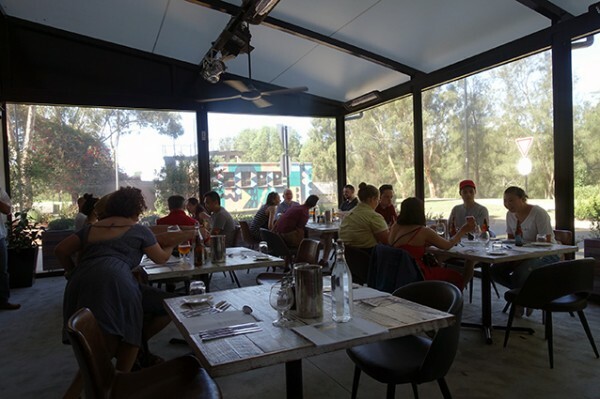 Last month I nipped back into Bellbird Dining & Bar for their first ever beer degustation - a collaboration between Casula Powerhouse’s 80-seater restaurant and their favourite beer supplier, Stockade Brew Co.. The event saw head chef Federico Rekowski and sous chef Steven Pham pit their cuisine-matching skills against a fantastic range of craft beers. Sitting down in their flower box lined-outdoor dining annex, we were instantly handed an ice cold Stockade Brew Co. Sesh Mid Strength Ale. This citrussy, lightly floral light beer is only 3.5% ABV (making the bottle one standard drink). It was designed to get us through the talking part of the event, as we were introduced to Stockade Brew Co. who began their life in Smeaton Grange, about 25 kilometers from where we are sitting. 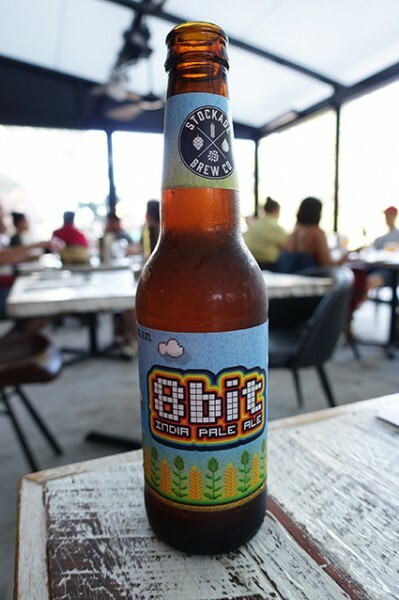 The site was a large contract brewer, that was bought by four brothers from the Szpitalak family and renamed BrewPack. 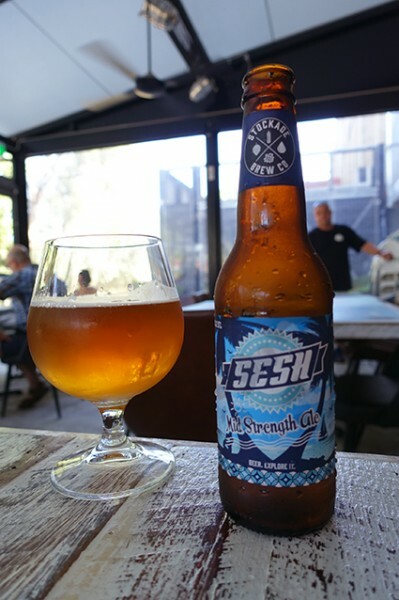 Brewpack produces a considerable number of the craft beer brands you will find in bottle-shops across Sydney. Stockade Brew Co. is the Szpitalak brothers’ own range of beers, which includes a core range of beers, like the mid strength beer I’m currently necking, and a range of limited releases. 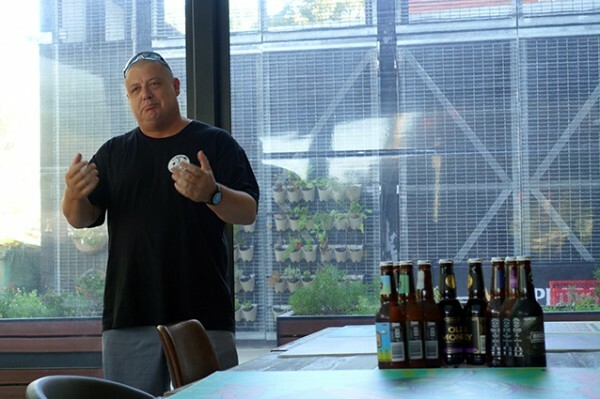 In 2018 they renamed themselves Tribe Breweries and opened a Marrickville bar and brewery, the Stockade Barrel Room, where you can sit down and taste their beers. They also bought a bigger brewing facility in Goulburn, which will make them the third largest brewer in Australia. At the same time though, they’ve kept craft beer values, meaning that they can still add hops up to three times in the brewing process. They’re also not adding preservatives, so their craft beer kegs last about six months. 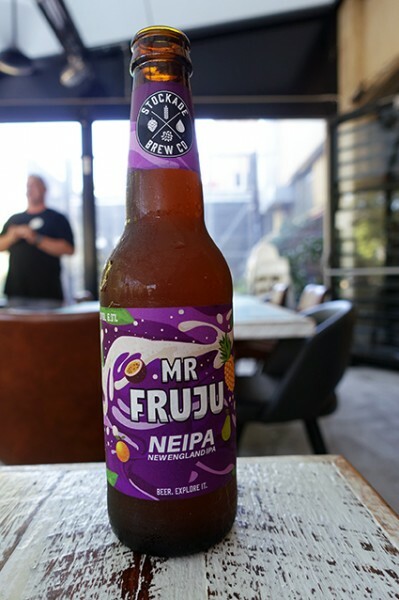 Our Six-Course ($65/person) beer matching adventure kicks off with Mr. Fruju, a New England IPA (India pale ale) that smells like orange and passionfruit (a breakfast beer if ever I tasted one) and drinks like tropical beer juice with very little bitterness. 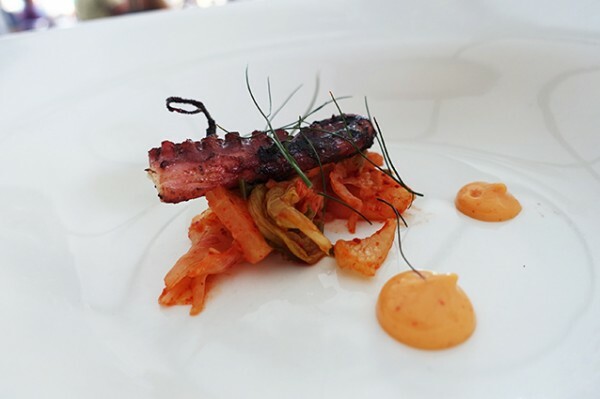 It goes with kimchi surprisingly well, and with the accompanying charred Fremantle octopus tentacle and dollop of sriracha mayonnaise. 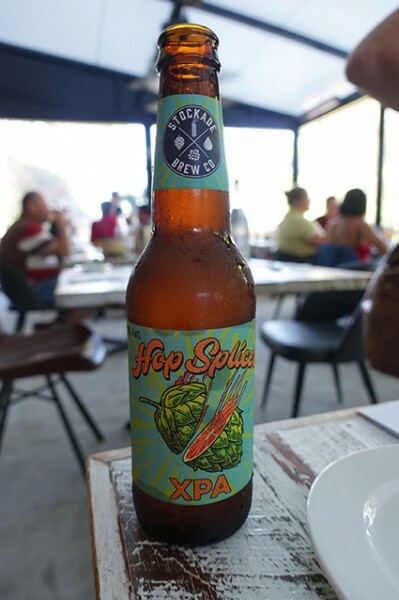 We move on to my favourite Stockade Brew Co. beer, the Hop Splicer, with our next dish. This XPA (extra pale ale), which came about by accident, involves three types of hops and grapefruit juice for a slightly hoppy, bitter-sweet citrus hit, that would make another excellent brekky beer. 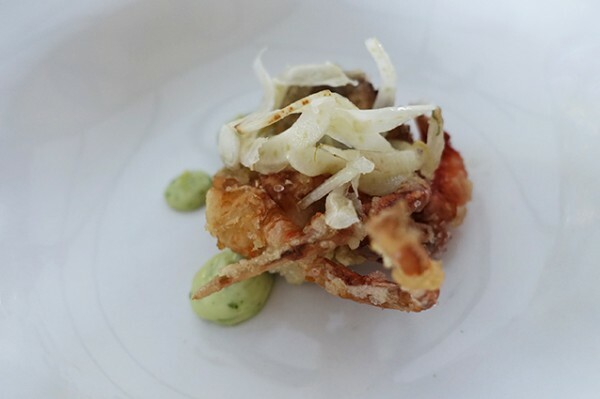 The Bellbird Dining & Bar crew have teamed it with big and fleshy soft-shell crab, chimichurri sauce, and pretty ribbons of pickled fennel. I like both the beer and the dish individually but found that when consumed together, the dish stripped away the pretty grapefruit aspects I enjoyed in the beer. 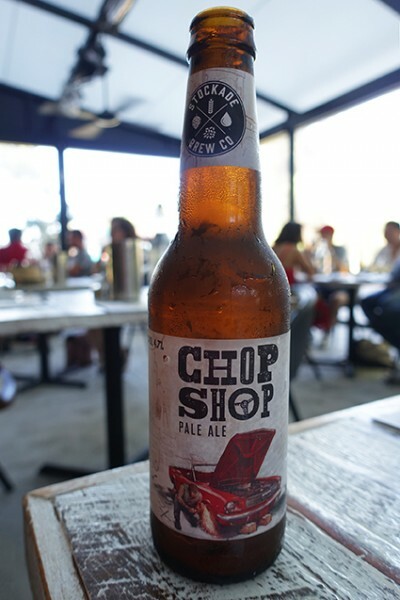 Chop Shop is a very citrussy, American pale ale, which is not as malt-driven as the English version of this beer. 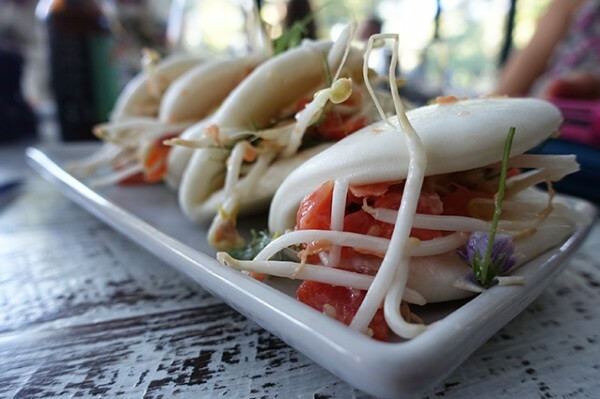 They’ve teamed it with house-smoked Atlantic salmon baos that are good for soaking up booze, but a bit stiff in the pillowy soft bao department. We’re told the well-balanced 8-Bit is Stockade Brew Co’s most famous beer. 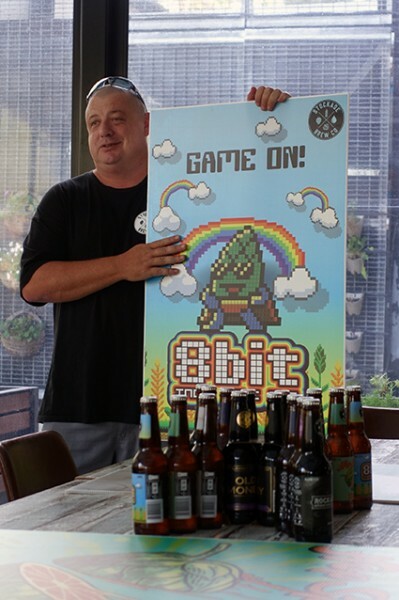 The label used to include a little hop character based upon 8-bit graphic games, but they were told to change it because it was deemed too child-friendly, despite their marketing clearly being aimed at adult gamers. 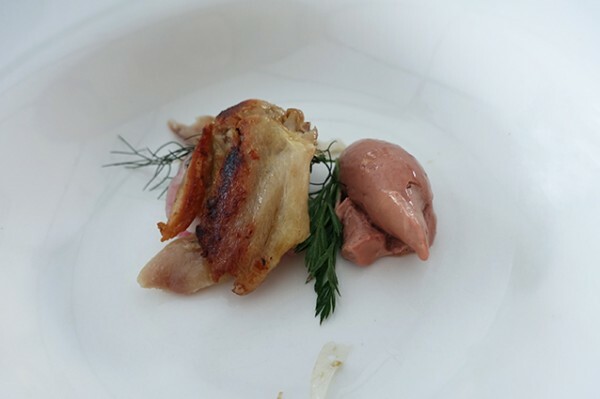 The kitchen team have opted to team it with a delicious dish of deboned confit chicken wings, crisp chicken skin and an indulgent quenelle of pink chicken liver parfait that we smear on bread. Here’s where I show my limitations as a beer reviewer. 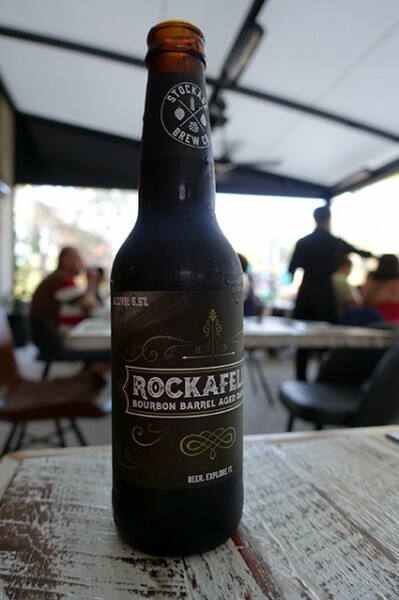 Rockafella, a bourbon barrel aged dark ale, was just too big for me. 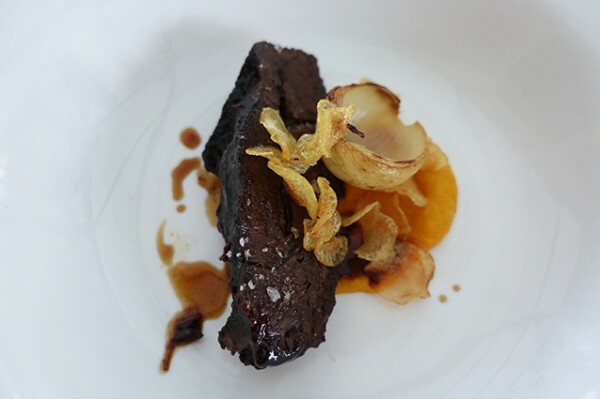 I do like the accompanying 12-hour braised beef cheek, softened with carrot puree, onion jam and crisps, and the beer match makes sense. 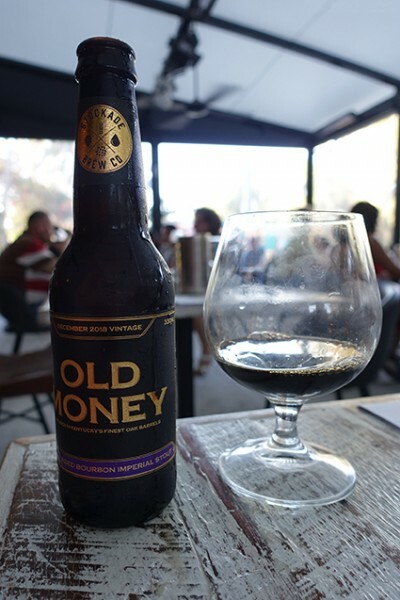 I’m even less keen on Stockade’s Old Money, an imperial stout that has also been aged in Woodford bourbon barrels. 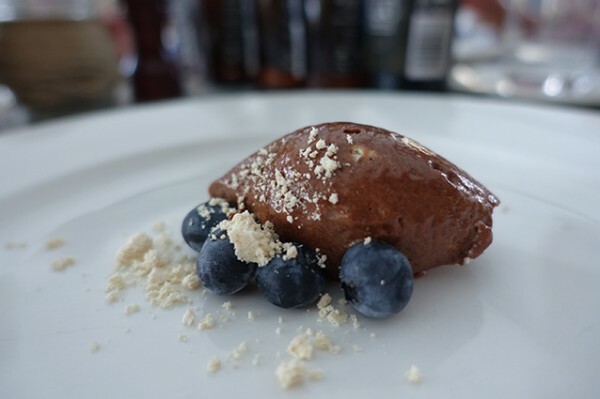 It smells like chocolate so I can see why it has been teamed with Bellbird’s glossy quenelle of Callebaut chocolate mousse, dusted with roasted chocolate and garnished with fresh blueberries. While others remark on its silky goodness, I kind of think someone’s spilled coffee in my Bovril. 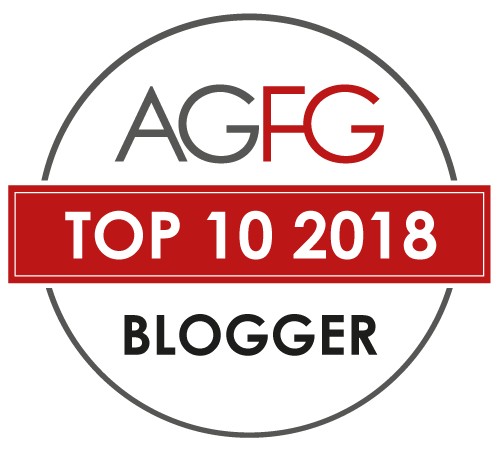 NOTE: You can see a review of Bellbird Dining & Bar's regular menu HERE.